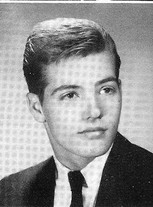 MERIDEN - Ronald M. Amundson, 65, of South Meriden, passed away suddenly on Saturday, Sept. 15, 2012, at the MidState Medical Center. Born Aug. 11, 1947, in Proctor, Vt., he was the son of the late Martin and Margaret Amundson. Ron was a veteran of the Vietnam War serving with the U.S. Air Force in Okinawa and Guam. He was the founder and co-owner of the former Wallingford Office Machine. He was a former member of the Lions Club. He is survived by his fiancée of thirty years, Avelina Broekstra, of South Meriden; three sisters, Joyce Fenelon and husband, David, of Florida, Deb Pogorzelski, of Pennsylvania and Lori Amundson, of Meriden; along with a niece, three nephews; and a great-niece and great-nephew.